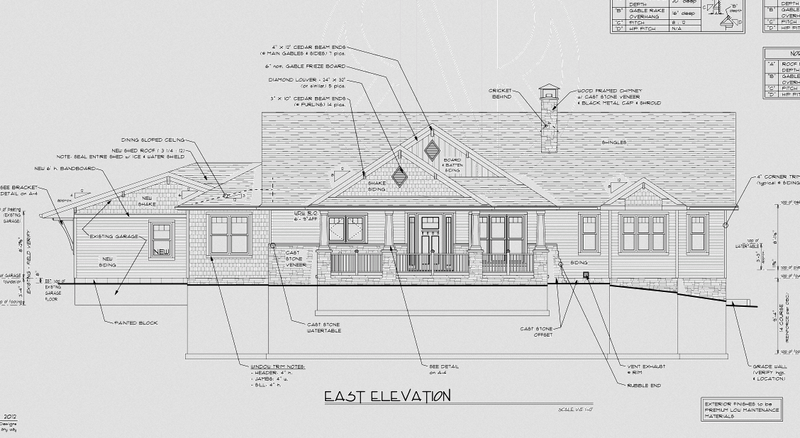 simple craftsman detailing creates a facade that allows this 1-story home to fit in it's farmland setting. Craftsman style home, which built on to an existing Garage while razing an older attached farmhouse. Tricky corner site presented limitations but yielded benefits after this plan developed.